FIFA and Sony Music Entertainment revealed the tracklist for the soon to be released 2014 FIFA World Cup Official Album named "One Love, One Rhythm". 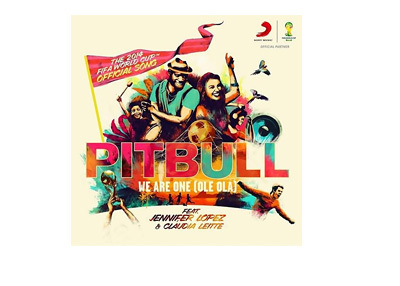 In the same time, they made available for download the official World Cup song, featuring Pitbull, Jennifer Lopez and Claudia Leitte, called "We Are One (Ole Ola)". In addition to JLo and Pitbull, the 2014 FIFA World Cup Official Album features several other recognizable names such as Santana, Wyclef, Avicii, Ricky Martin and Shakira. Scroll down to hear the official song.